Here are a couple images from last Wednesday’s ISES Emerald City Applause Awards. The ECAA’s are always a fun time and a great chance to catch up with the Seattle events industry crowd. 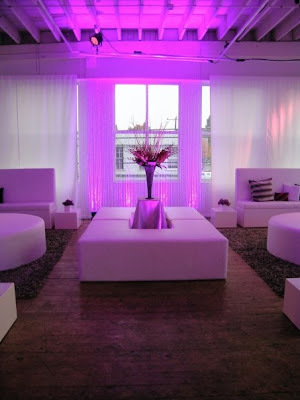 This year the gala was held at the hip Pravda Studios complete with a silver and purple loungey look. 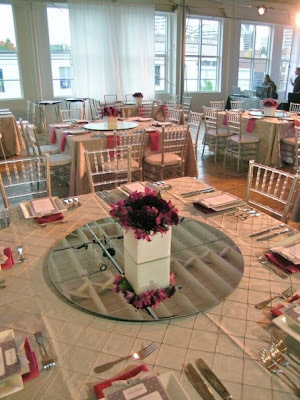 We had a great time catering with a Spanish family style menu that allowed us to use our fun mirrored lazy susan’s. Congratulations to all the winners! STEP 1) combine the yeast & granulated sugar in the bowl of a stand mixer fitted with a dough hook. Add the melted butter, warm milk & water. Beat a low speed for 1 minute. With the mixer running, add the egg yolks and beat for 1 minute at medium speed. Add flour, salt, ground anise & orange zest. Beat until everything is incorporated. STEP 2) increase the speed to high and beat until the dough pulls away from the sides of the bowl, forms a ball & starts to climb up the dough hook. If the dough is uncooperative in coming together, add a bit of warm water (110 degrees) a tablespoon at a time, until it does. STEP 3) Remove the dough from the bowl. Using your hands, form the dough into a smooth ball. Lightly oil a bowl with the vegetable oil. Place the dough in the bowl and turn it to oil the sides. Cover with plastic wrap and set aside in a warm, draft-free place until doubled in size, about 2 hours. SETP 4) Turn the dough out onto a lightly floured work surface. Using your fingers, pat it out into a round ball reserving enough dough to make a “skull & crossbones” on top. STEP 5) Meanwhile, preheat oven to 350 degrees F.
STEP 6) Place in a warm, draft-free place. Let the dough rise until doubled in size, about 45 min. Bake until golden brown, 25 – 30 minutes. Glaze while still warm. STEP 7) Glaze: In a small saucepan combine the 1/4c. sugar, orange juice & orange zest. Bring to a boil over medium heat and boil for 2 minutes. Brush over top of bread while still warm. Sprinkle glazed bread with remaining white sugar. As part of our Artist in the Night Kitchen series, Eric Dunham joined us in the catering kitchen with his amazing artwork and wines. 40 guests enjoyed a dinner by chef Grover Ramsey with the perfect pairings to Eric’s wines. The duck was delicious! Jonathan pulled a surprise vintage 2004 Lewis Vineyard Cabernet Sauvignon Artist Series out of our cellar. Such a fun night. We can’t wait for the next Artist in the Night Kitchen event featuring artist and winemaker Squire Broel from Foundry Vineyards on November 11. Urban Unveiled was so much fun! Callie designed a really fun booth in response to a chic “South Beach” theme. Our new street cart in a crisp Jonathan Adler motif toured the venue (Benaroya Hall) with mini classic Cuban sandwiches and refreshing kumquat coolers. We also tray passed a fan favorite, mini coconut snowballs! The LDC team had a fantastic time meeting with hip bridal couples and reuniting with some of our favorite event vendors. If you were not able to make it this year, it is certainly worth checking out next. Thank you to the organizers! Jesse & Travis of True Colors as well as Sharlane Chase.